Virtual reality shows great promise in the world of games, and even more distant and interesting promise in the world of theatre. Games are receiving the attention now, with many commenting that the Oculus provides users with that critical feeling of “presence” in the VR experience that had been missing until now. But already there are hints that VR may expand beyond the boundaries of gaming into the world of cinema. For this to happen, camera equipment that is capable of capturing the data needed for VR must be used, and these cameras are now entering the market: here is a look at the latest crop of 360 degree camera technology. The development of 360 degree cameras are in an early stage, resolving between dedicated cameras for the task, and software packages that can stitch together the output of traditional high end equipment. Well-known imaging company Kodak has the SP360, a 16 megapixel camera that can capture wide fields of view in a number of configurations, from a 360 degree ring, to a dome, to a globe. The camera is built for active use in a similar vein to the popular GoPro line of products, and the SP360 can be operated wirelessly, allowing it to be mounted in various applications. A number of products are making speculative forays into a market for the home consumer. The BublCam is a product that started as a Kickstarter project in 2013. 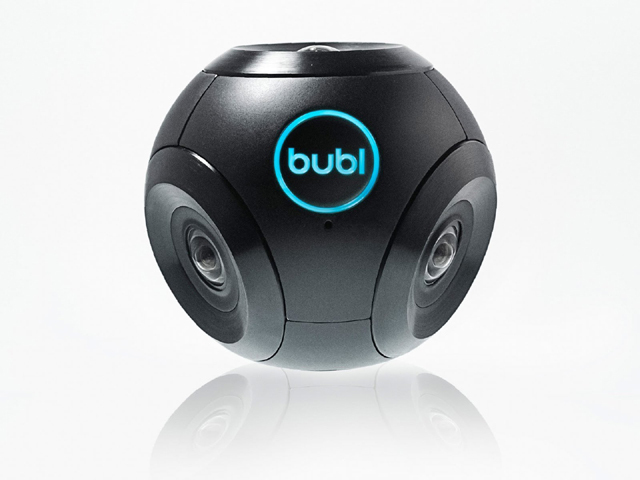 The BublCam is a spherical camera that integrates multiple wide angle lenses to create a 360 degree video that can then be stitched together in software. The camera itself is compact, only slightly larger than a baseball. The Kickstarter project was successful, raising over $300,000 against a $100,000 goal. The camera is now available at a retail price of $699. There is obviously a growing desire for this form of photography among consumers, and a number of other camera makers are entering to capture this market. The Ricoh Theta offers a handheld design, with the latest models able to capture video. Companies like VSN and Giroptic are also developing cameras for more professional applications. Many 360 degree cameras capture image information through multiple lenses, and rely on software to integrate the different images into a panoramic whole. Kolor is a company that specializes in stitching together image information for virtual tours and 360 degree video. As the software for this process becomes more refined, the camera hardware required to achieve 360 degree video will become less specialized, allowing video to be stitched together from as simple a setup as four GoPro cameras that have been bound together. True VR experiences will require multiple camera setups to capture information to mimic the action of human eyes. Kolor has taken this into account, and has launched Kolor Eyes, a platform for storing and sharing 360 degree videos, including separate eye information. Oculus, arguably the pioneers of the modern VR renaissance, have recently announced their intentions with VR movies. Recognizing that VR experiences of all kinds could benefit from the knowledge already available in the movie industry, Oculus has formed Story Studio, partnering with a former executive of Pixar. The early announcements out of Story Studio has been that VR movies will focus on CG moviemaking in the style popularized by Pixar, at least for the short term. A number of projects are in the works, with a short film, entitled “Lost” already announced. Oculus will likely be focused on CG in the short term as technology for live action VR capture works to catch up. The 360 degree camera technology that is currently available is unlikely to be sufficient to create a satisfying VR experience, but with the industry moving very quickly, and hardware and software innovations happening all the time, this gap will close in very quick fashion.